Irish Wheaten Bread is a soda bread with yeast. In fact, it is the yeast raised version of traditional Irish Brown Soda Bread. I have made many soda breads before. 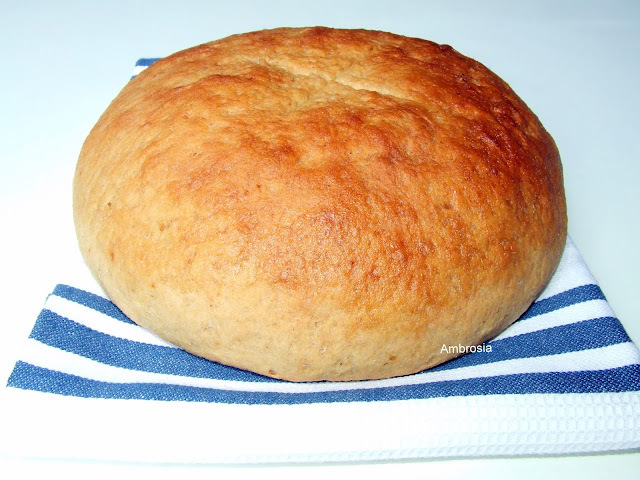 This version is very much like soda bread in taste with a distinct yeasty taste and flavor which makes it different. 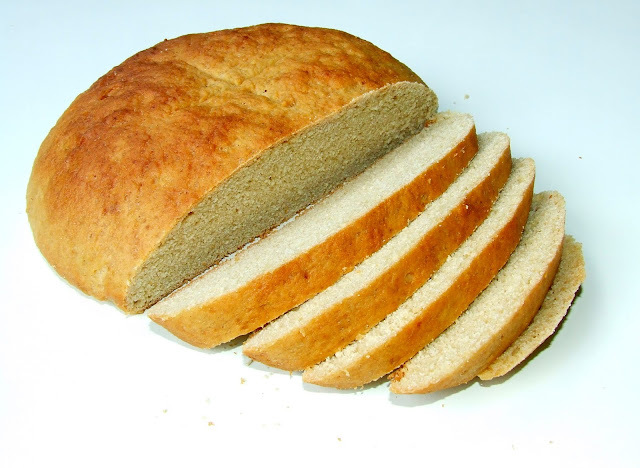 It is one of the easiest breads to make and has a soft sweet crumb. It rises beautifully. I saw this bread in The Bread Experience and baked it the same day. 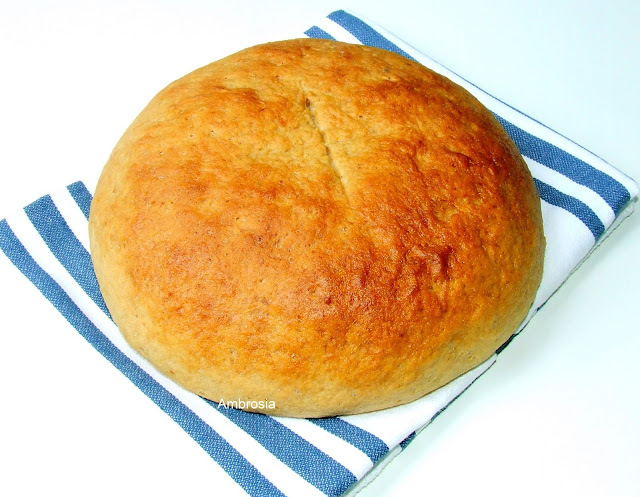 The ingredients are simple and the bread is a great accompaniment to soups and stews. Take buttermilk in a steel wok. Add sugar and butter. Heat till very warm. The buttermilk will curdle. Turn off the heat. Whisk together all purpose flour, salt, soda and instant yeast. Add flour mix to buttermilk mix. Stir vigorously till well combined. Now add whole wheat flour slowly. Use hands to bring the dough together. Keep adding whole wheat flour till two cups are used. Add water only if needed (if the dough becomes too dry). Grease an eight inch cake pan. Shape the dough into a ball and place it in the pan. Cover and let it rise for 35 to 40 minutes. Make an “X” mark on the dough with a sharp knife. Bake in a preheated oven at 375 degrees C for 30 to 45 minutes or till it becomes golden brown. Such a beautiful loaf. You have mastered the art of bread baking and it is such a pleasure to see your creations day after day. I love the simple shape of this bread and yes as you said, it has risen so beautifully! I am yet to try a soda based bread... sometime soon!